One of the world’s most prized building materials, marble has been used since ancient times. Once so expensive it was only seen in palaces and monuments, this natural beauty is now available to the general public, and marble worktops can be admired in homes across Surrey. What is marble made of? Marble is primarily made of calcium carbonate, which is the same key ingredient in classroom chalk and many antacids. It’s odd to think that a beautiful marble worktop in a Surrey kitchen is made of the same stuff as a Tums but it’s true, and an excellent example of how history can transform a common material into something beautiful. Where does marble come from? Marble is a metamorphic rock, which means that it’s been transformed under conditions of extreme heat and pressure, usually deep underground. Shifts in the earth’s surface bring veins of stone close enough to the surface to excavate. Marble is typically a transformation of limestone, which is why the two share similar care instructions. The heat and pressure force the stone to recrystalize and often drive impurities and minerals into channels, giving it its unique veining. Why is marble called a ‘soft’ stone? Marble is rock solid, yet it’s called a soft stone. This is because the way it naturally forms gives it a more delicate structure than stones like granite, which is one of the toughest materials on the planet. As a ‘soft’ stone, marble that’s exposed to the wind and weather in natural settings will erode quicker than harder stones around it. Of course, ‘quicker’ is still relative and in this case, we’re talking centuries or millennia of constant outdoor exposure. Ancient buildings from the Pyramids to the Pantheon use marble in their construction, and still look amazing today. What colours does marble come in? While the purest marbles are the whitest, these are often the least interesting as it is the impurities and minerals present in the stone that give it both its beautiful natural colours and its veining. Most colours are available in some form, although many are very delicate hues. Reds and pinks are particularly sought after for marble worktops, while greens tend to be more common in bathrooms. 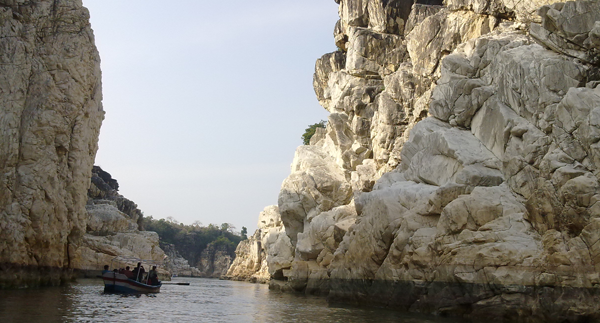 Many types of marble started out as sand on the sea floor in an ancient ocean. Long before humanity had even managed to stand upright, never mind take an interest in shaping stone, drifting sand was being compacted. After thousands of years of extreme heat and pressure, it transformed into the beautiful stone we carve into marble worktops and other items at our Surrey workshops. Shellfish and other creatures who died hundreds of millions of years ago and were buried in the sand survive as fossils and you can often see their shadows today, if you know where to look. Quartz stone kitchen worktops have certain advantages over some of their competitors. 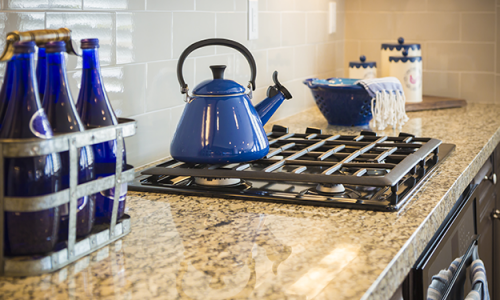 Quartz is non-porous, it is particularly resistant to corrosives and stains (for example coffee, wine, lemon juice, olive oil, vinegar, makeup and other products of daily use) and it is solid enough, retaining the same uniform composition throughout its thickness. This makes for a great material, as the integrity of more natural stone throughout a worktop may be questionable. However, all natural stone kitchen worktops may be tested to guarantee their integrity. Marble stairs have a timeless elegance, and are the centrepiece of many homes. Of course, with the range of choices available today, the white marble staircase that so many princesses have swept down in film and fact isn’t the only option. 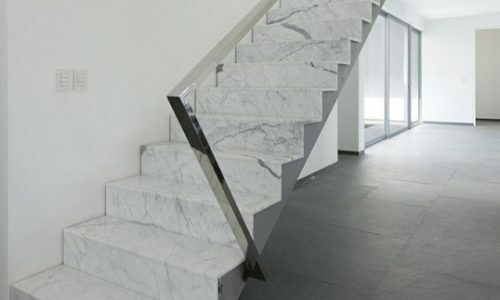 You could have a granite tile staircase, or a bright Silestone stair with the same durable and practical features that make marble such a hit. But if your stairs aren’t stone to start with, how can you convert them?